Amazon HQ was announced today. 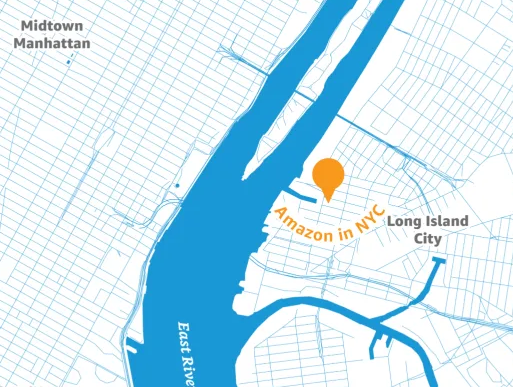 Amazon confirmed that New York City and Northern Virginia would be the future location of the second headquarters for them. This finally concluded the running joke. I say this as I would argue that there was never a real decision to be made. Amazon create a game show out of this process and made a mockery of countless cities wasting countless dollars on consultants and most likely real estate visionaries that sought quick dollars. Stonecrest Georgia even said they would change their name to Amazon, Georgia! I am ashamed to say that my home town of Tucson gave an endangered cactus that is illegal to even sell as noted here. Yes, it is iconic of the city and would get attention, but at what cost. Rents increased 57% in Seattle over the past 5 years and the average house price sits at $824,000. I own a small business that very well could be wiped out by the massive influx of money. It is already mostly being spent in Phoenix anyways and then this could happen? I understand. Amazon is huge and we must realize and not ignore the impact that they make. Amazon HQ2 would be a big deal. I run a company that must daily bow to the Amazon arrogance. Constantly fighting to raise our prices while they continue adding discounts on our programs. Their bottom line may increase, but eventually we would not be able to even supply and they would move onto the next product or company willing to bend over backwards. Yes, I don’t have to sell to them. That is where the customers are though. They make no money on their selling platform and most of it comes from their AWS programs. I don’t know how they can not be considered monopolistic. They are VERY similar to the issue that Australia deals with in Woolworths and Coles. In the end, the consumer will lose. Small businesses will go away an we will all be getting generic crap with the Amazon logo on it. Yes, I have Amazon Prime. I buy from Amazon and I have Amazon affiliate links. Amazon does provide products online with ease. I just wish that they would be better collaborators with their vendors and communities. We will see what the future holds.